Please note that due to the impending arrival of our baby girl, this will be the last giveaway that DFW Craft Shows is hosting for 2012. Don't worry, we will be back to our 'ol give-stuff-away-for-free ways next year! 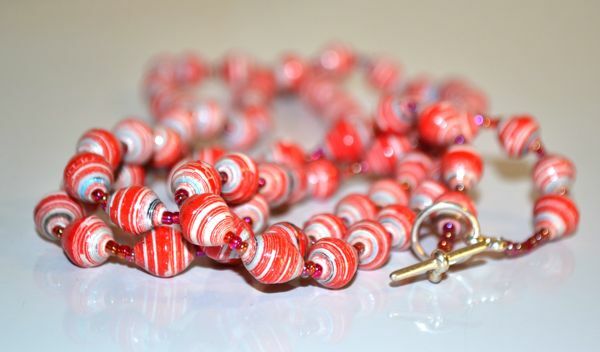 This week's giveaway is sponsored by Samantha Tusiime of Crested Jewelry. Crested Jewelry is a small merchandising company here in North Texas that imports African art and jewelry. All products are made of all natural materials (such as straw, wood and banana fiber), handcrafted with traditional styles passed down through generations, and carefully preserved to provide a long lasting, fashionable and impressive item that you will cherish for a long time. How to enter: Simply leave a comment here and tell us one sweet treat that you look forward to every holiday season. For a BONUS entry, share this giveaway on Facebook or Twitter (tag us!) and comment again below to let us know. Please don't forget to leave an email address, if I cannot contact you then you cannot collect your prize! Facebook entries can no longer be accepted. Contest ends at 10:00PM on Tuesday, November 20, 2012. Winners will be announced Wednesday, November 21, 2012. Entries open to the US only. Congrats, Rite4Sales Latanya T, you have WON this Candy Cane Necklace by Crested Jewelry, a $21.50 value. 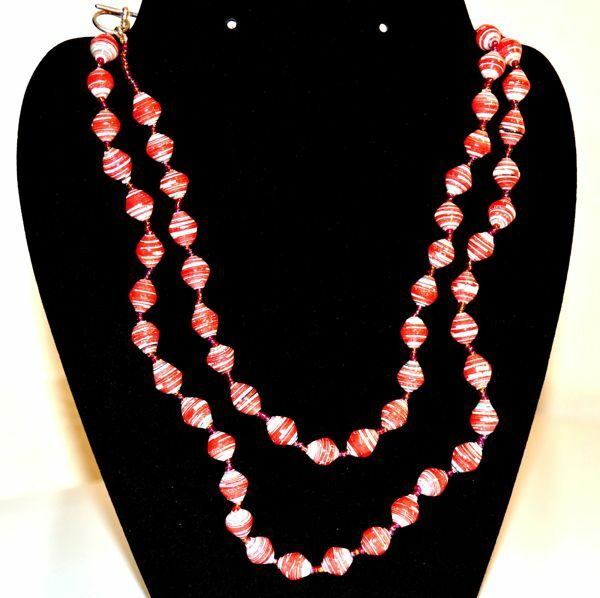 This 22" necklace is held together with straw and completed with beautiful pink and red glass beads. To see the many products that Samantha of Crested Jewelry has to offer, check out their online store or visit Facebook to start on top of new arrivals and specials. I have been thoroughly enjoying pumpkin spice flavored coffee creamer!!!! My mother's Buttermilk Pie! In fact my brother-in-law got made last year because my mother made me not 1, not 2 but three pies for my other holiday get together's! Hee hee! I love oreo truffles! It's an awesome no bake dessert that's perfect to do with kids. They really get to participate and love the end result too! 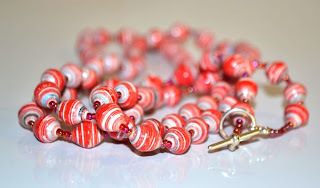 candy canes - I love them!